Voting is our most fundamental right, and the greatest power we can exercise as citizens. Choose your leadership, and change Arizona forever. Click here to be redirected to ServiceArizona.com, where you will be able to register to vote. Click here to find out what precinct and legislative district you live in. By signing up for the Permanent Early Voter List (PEVL), you will receive all of your ballots for every single election to your mailbox. There are sometimes special elections and city elections that don't fall on the more well-known election dates, this ensures that you will never miss a single election! 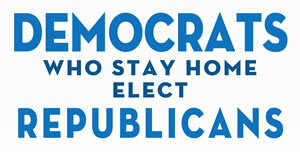 And we need your Democratic vote in all elections! You can also sign up for the PEVL at ServiceArizona.com, when prompted select that you would like to register for the PEVL to vote by mail.